My name is David Jefferson and I live near the historic English market town of St. Albans, Hertfordshire, England. 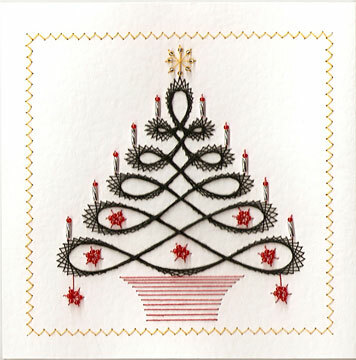 I am a designer of stitching card patterns. 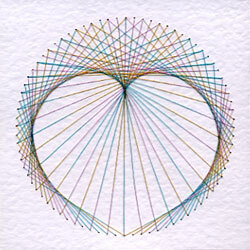 I created the patterns available from the Pinbroidery, Stitching Cards and Form-A-Lines websites. 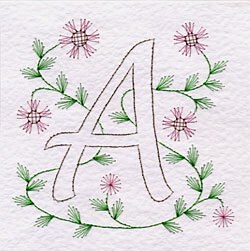 Six new stitching card patterns have been added to the PinBroidery website. 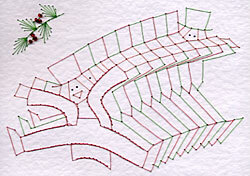 They complete the patterns inspired by the song “The Twelve Days of Christmas”. They feature twelve drummers drumming, eleven pipers piping, ten lords a leaping, nine ladies dancing, eight maids a milking and seven swans a swimming. Each design has pricking patterns of two sizes: 144 x 144 mm (5.65 x 5.65 inches) and 152 x 104 mm (6 x 4½ inches). The square pricking pattern has words on two edges and the rectangular pattern omits the words. 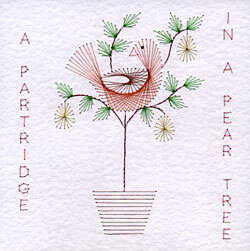 If you use rectangular double fold cards you could put the appropriate words from the song inside the card. You could stitch the words on the inside panel that folds in to hide the back of the stitching. This entry was posted in PinBroidery and tagged new patterns, PinBroidery on Friday 17 September 2010 by David Jefferson. 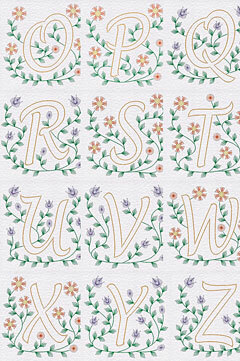 Six new stitching card designs have been added to the PinBroidery pattern collection. 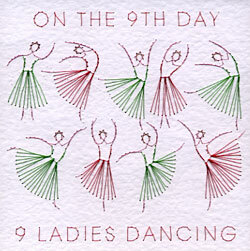 They were inspired by the song “The Twelve Days of Christmas”. They feature six geese a laying, five gold rings, four calling birds, three French hens, two turtle doves and a partridge in a pear tree. The design has pricking patterns of two sizes: 144 x 144 mm (5.65 x 5.65 inches) and 152 x 104 mm (6 x 4½ inches). The square pricking pattern has words down each side and the rectangular pattern omits the words. 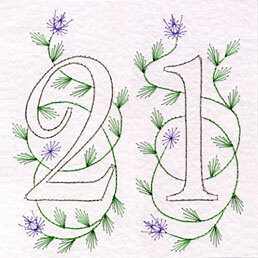 This entry was posted in PinBroidery and tagged new patterns, PinBroidery on Sunday 15 August 2010 by David Jefferson.